Located in a prestigious and serene area of Orange County, Coto de Caza real estate is located inland from the Pacific Ocean, adjacent to the city of Rancho Santa Margarita and co-located with the area of Dove Canyon. Finding themselves in a lovely rural setting, the fortunate residents of this small but vibrant community leave the hustle and bustle of Orange County living when entering this enclave of homes, situated on spacious and beautiful lots where mountains frame the lovely sunrise views. Coto De Caza's BEST value opportunity is here, at 48 Cambridge Ct. Spanning nearly 12,000 sqft and situated on an elevated 3.23 acre lot, this custom built private gated estate is perched on one of Coto's premier lots overlooking the city lights, hills & mountains as far as the eye can see. Having just undergone a large scale cosmetic renovation, the home has been improved to now showcase a clean contemporary, light and bright personality. Coto de Caza (which is often misspelled as Cota de Caza) is a guard-gated private community located just a few minutes away from neighboring local shopping areas in Rancho Santa Margarita and Mission Viejo and offers magnificent homes for sale. The community is also located a short thirty minute drive from additional major shopping centers such as South Coast Plaza, Fashion Island, and the Irvine Spectrum. An easy, pleasant drive westward takes you from Coto de Caza to the lovely coastlines of Laguna Beach and Newport Beach. From these nearby locales, quaint shops, incredible beaches, and fine restaurants await exploration. Closer to home are the winding and beautiful Wagon Wheel Park Bike Trails. The Coto de Caza community is also the home of many famous residents of Orange County, due to the privacy and exclusive living offered in the area. Additionally, one of the wonderful amenities available in the immediately surrounding region is the Thomas F. Riley Wilderness Park. This park is open to the general public-except in certain circumstances like after heavy rain--and surrounds the Coto de Caza community on three sides: to the east, north, and south. This large area is recognized for its beautiful oak groves, sycamore trees, two creeks, and a diversity of wildlife. Approaching 500 acres in size, the park contains roughly six miles of trails for hiking, equestrian, and biking use. There is also a beautiful nature center complete with an educational hub. This focuses on nature education for schools and community groups in the area. The Wilderness Park doubles as an ecological preserve for native and endangered plants and animal species. The area is maintained and paid for by Orange County Parks, and is administered by Park Rangers and maintenance staff. For many interested home buyers, Coto de Caza real estate for sale (often mistaken for Cota de Caza real estate) can seem initially daunting in this unique community. However, prospective home owners will also quickly find that there is much additional value for the money in Coto de Caza, especially when compared with some of the pricey upscale residences found closer to the coast. The security and convenience of the community, the scenic beauty, and the exclusivity of the neighborhood truly make this one of the most desirable areas in Orange County. The public schools around Coto de Caza are administered as a part of the Saddleback Unified School District (or SUSD), and have a reputation for providing a consistently high quality educational experience for the younger residents of the community. (There are no public schools on the community property itself, as it is considered private land). There are two public elementary schools for children within a very close range of Coto de Caza. Students either attend Tijeras Creek Elementary or the nearby Wagon Wheel Elementary. Older children going to public schools will attend Las Flores Middle School or Tesoro High School. In addition to the public options, there are a number of private schools available in the area. For example, St. John's Episcopal School and Serra Catholic Schools are private institutions offering both elementary and middle school educations located outside the gates of Coto de Caza. High school students and their parents may be interested in the private Catholic school called Santa Margarita Catholic High School, which is located at the North Gate of the community. Families with younger children who are seeking preschool options will find plenty of them within a short distance of Coto de Caza, as well. These include a number of excellent religious preschools, secular preschools, and Montessori programs for the younger set. Nearby points of interest for residents of Coto de Caza will include the scenic beachside community of Laguna Beach, which is considered to have some of the most beautiful beaches in Southern California, as well as the lovely nurseries of Rogers Gardens. It is also not terribly far for residents to reach Balboa Island, Newport Harbor, and the wonderful piers in Newport Beach and Huntington Beach. For that matter, the world-famous family vacation destinations of Disneyland and Knotts Berry Farm are a scant fifteen miles away from Coto de Caza, while the thriving cities of San Diego and Santa Barbara are only a two to three hour drive from the community. In fact, commuting from Coto de Caza into downtown Los Angeles is only a forty mile round trip, making it an ideal bedroom community for those who prefer to live and relax outside of the city. A wide variety of outdoor and sporting activities are readily available to residents of Coto de Caza. Golfing and tennis clubs are both located right within the community, including the most challenging golf course in Orange County. 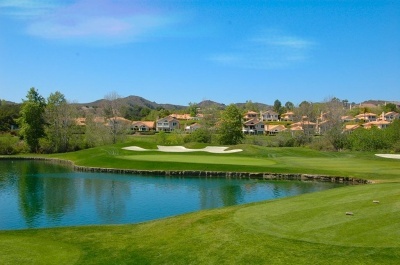 The lodges and clubs in Coto de Caza are second to none, and truly lead to an atmosphere of relaxation and convenience. Other enjoyable events in the area include Laguna Beach's Pageant of the Masters, Dana Point's annual Tall Ships Festival, and the Ryder's Cup Celebrity Golf Tournament held in Coto de Caza each October. Beaches in the area include Corona Del Mar State Beach and Crystal Cove State Park. With all of these exciting options, along with the privacy and pristine beauty of the Coto de Caza community, there are truly very few communities that can match the lifestyle to be found at "Coto." If you would like further information or assistance regarding Coto De Caza real estate (not Cota De Caza) and available Coto De Caza homes for sale, please contact us today!